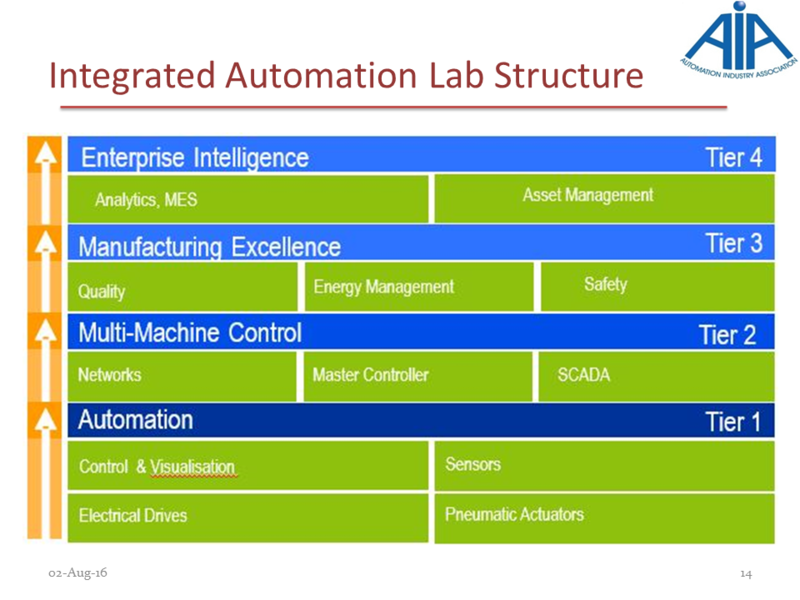 Automation Industry Association (AIA) is India’s apex body of automation technology companies. 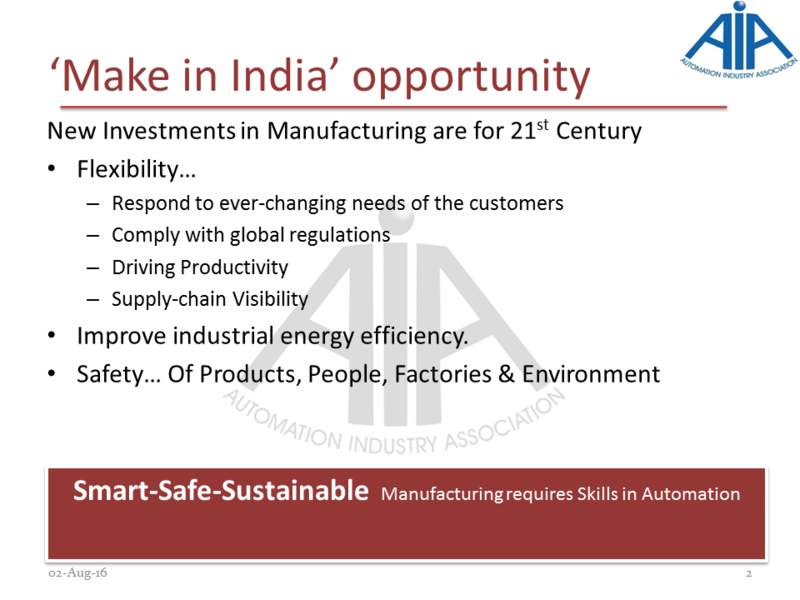 It has been at the forefront of creating new platforms that impact the nation’s competitiveness in manufacturing and infrastructure. 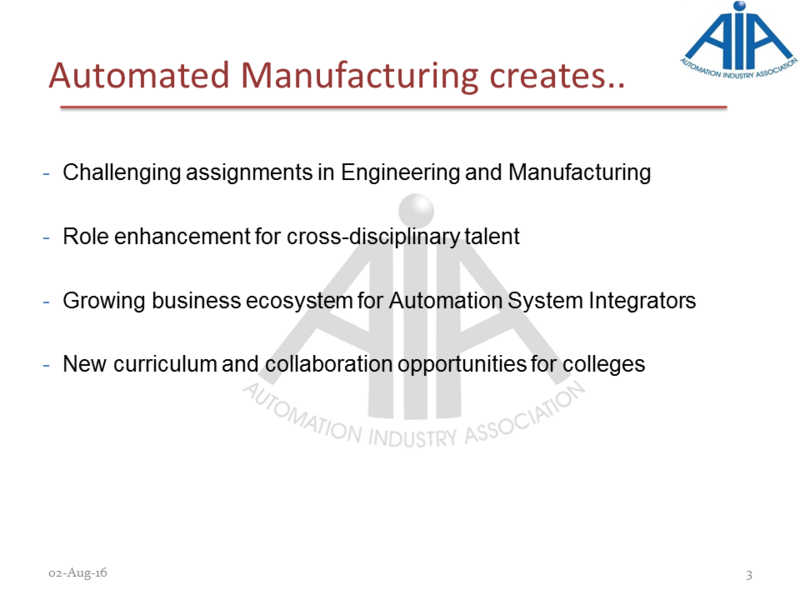 Automation Industry has been propelling economies internationally by enabling manufacturing and infrastructure to meet the growing needs across the globe. 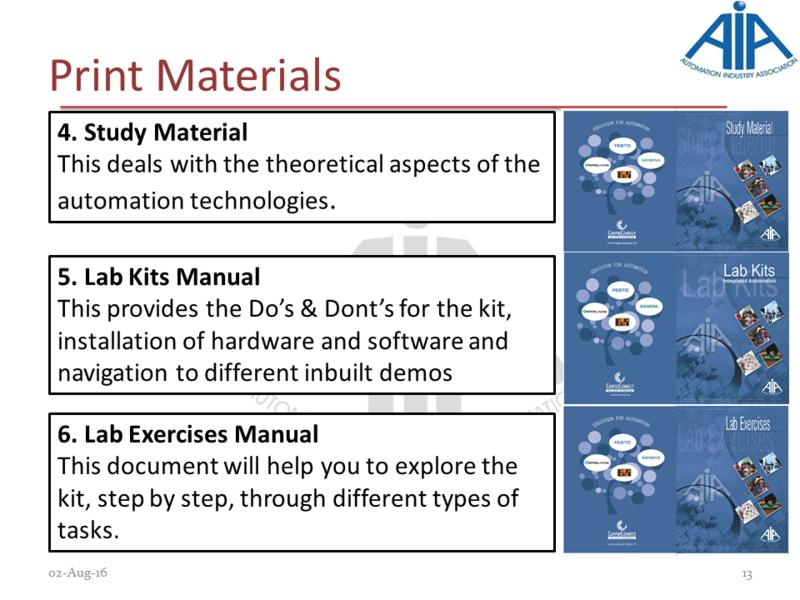 This cross disciplinary segment is the key to enhanced productivity, reliability and quality in multiple domains. 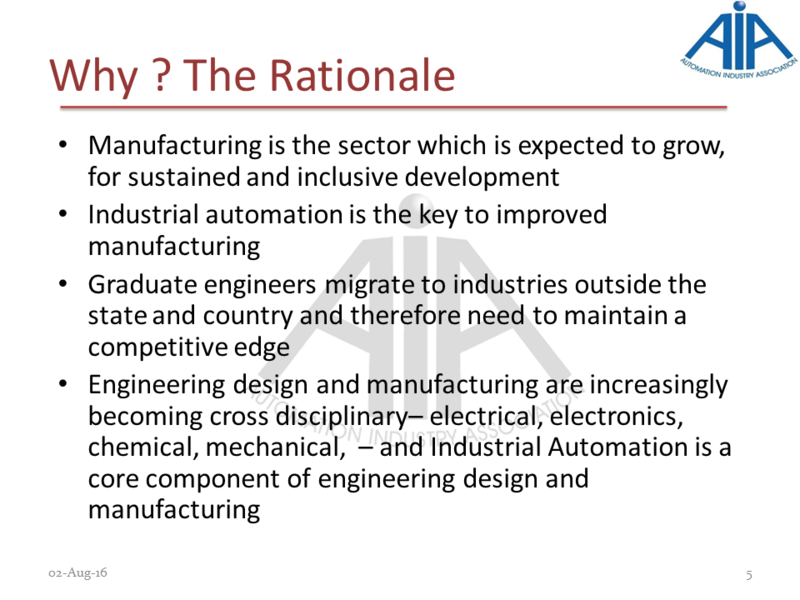 Factories of the future shall draw innovations and knowledge from multiple disciplines of science and engineering thereby creating a demand of multifaceted professionals. This explains the heightened sensitivity in Industry and Academia to better educate, properly train and enrich the human capital of our country. 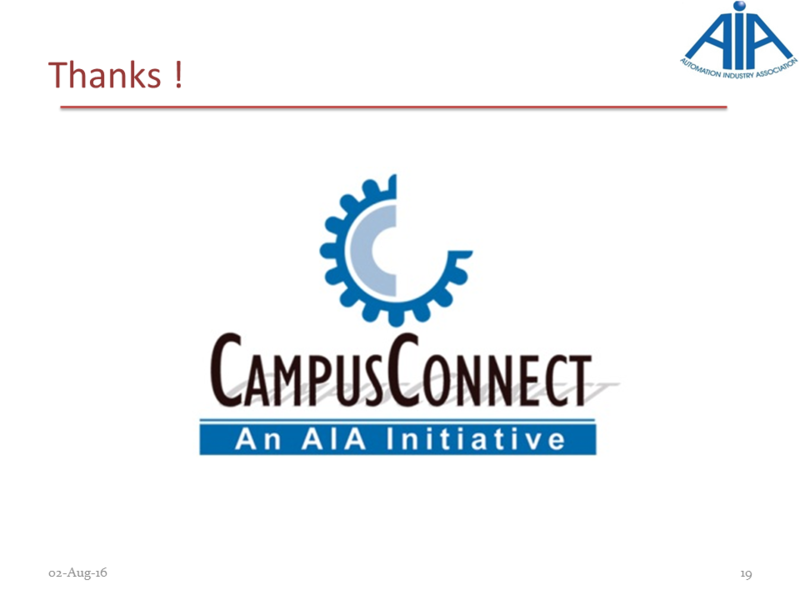 AIA “Campus Connect” program runs in collaboration with chosen engineering institutions. 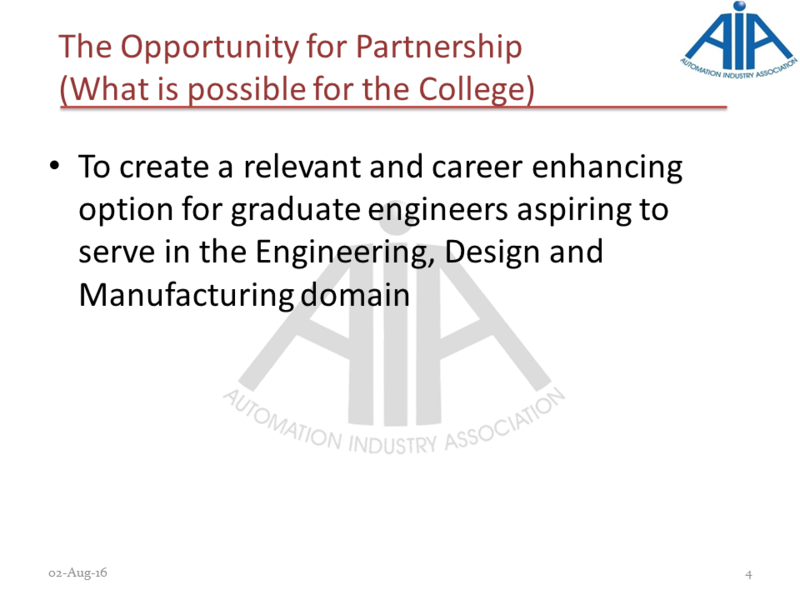 It offers two levels of engagement at undergraduate stage and one during post graduate engineering studies. 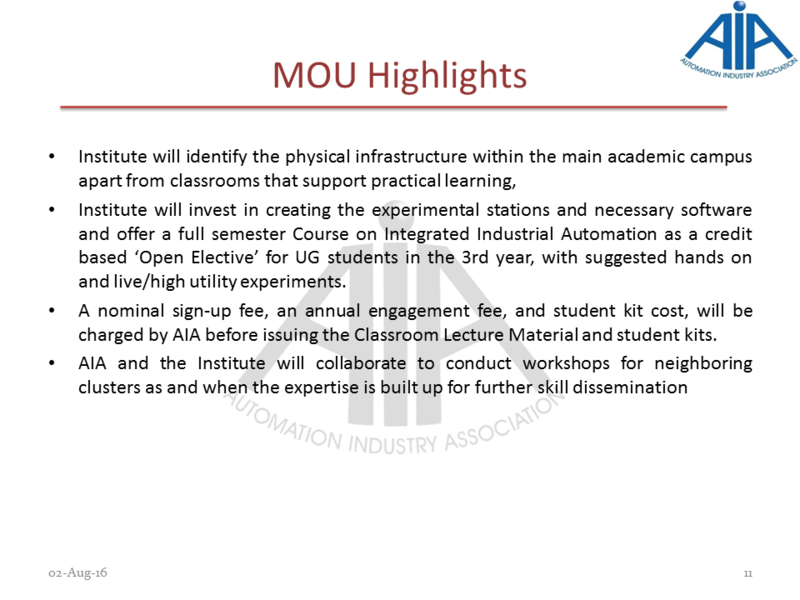 The program creates “Competency Development Centers” nested at these institutions which entail sustained engagement with students and academia for proliferation and promotion of contemporary and relevant education in Automation. 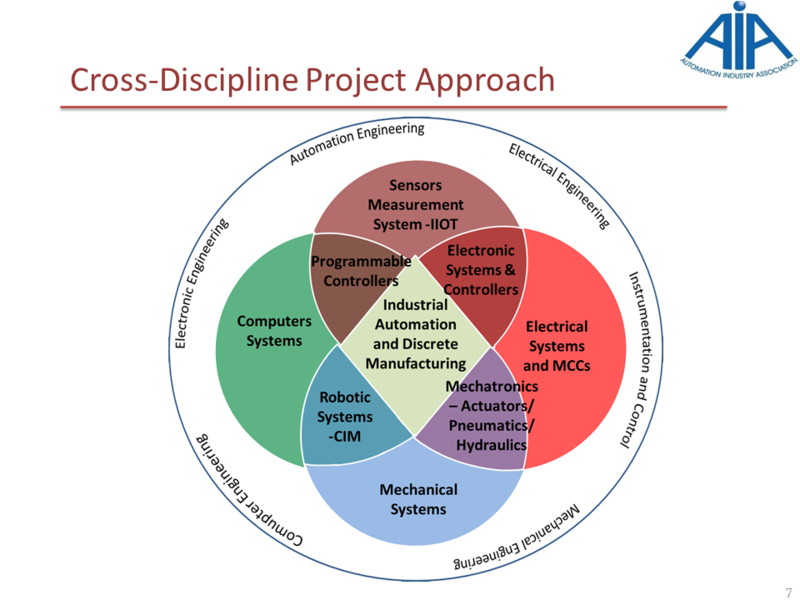 It is a contributory and continuously evolving program with large and enthusiastic participation both from the Academia as well as the Industry. 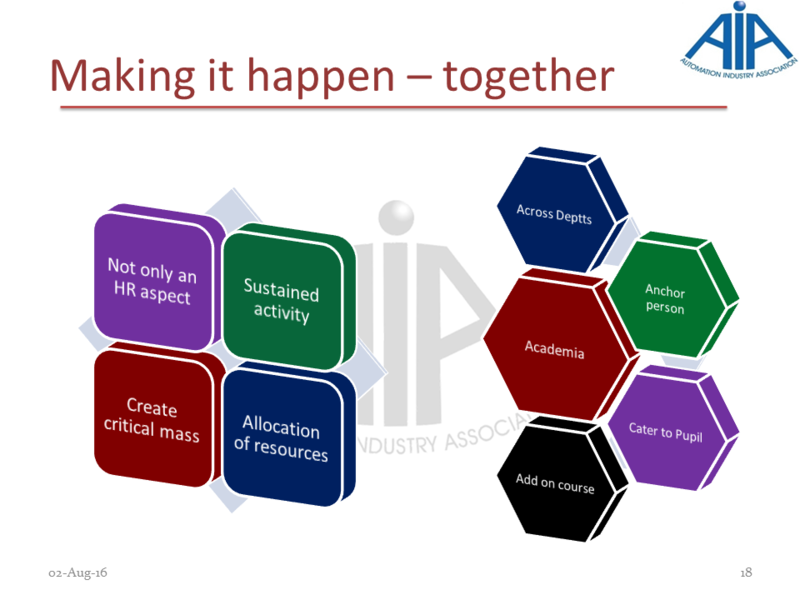 Realization of a sustainable learning and competency enhancement infrastructure has been conceived around 3 pillars to create an effective PAN India footprint. 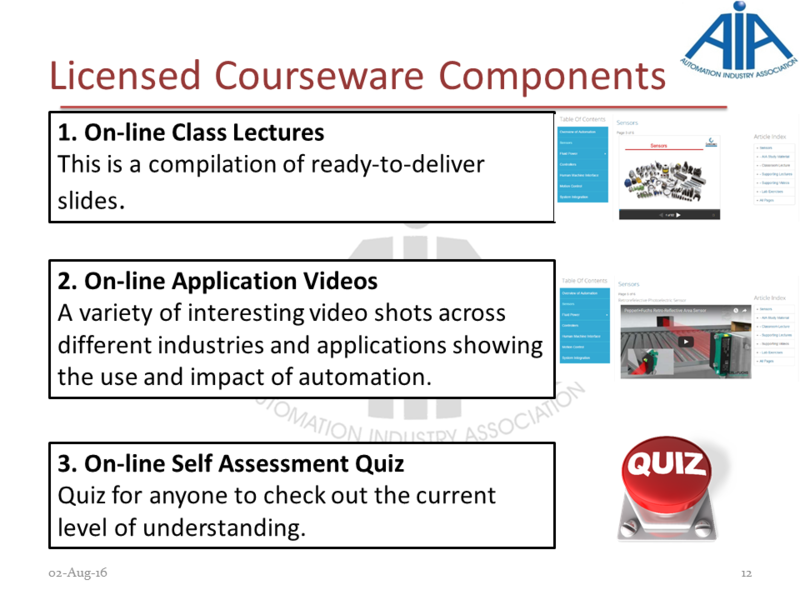 a) Knowledge Infrastructure - Comprising an academic curriculum and supporting learning modules, training on modern Industrial equipment and introduction to contemporary practices and solutions. 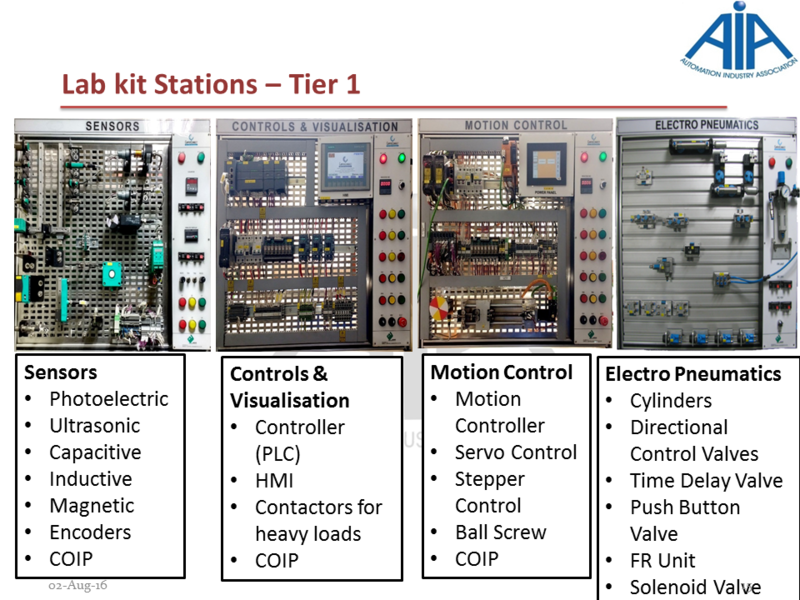 It is a cross disciplinary program which instills basic theory, equipment and integrated approach towards automation with relevant hands-on at various levels. 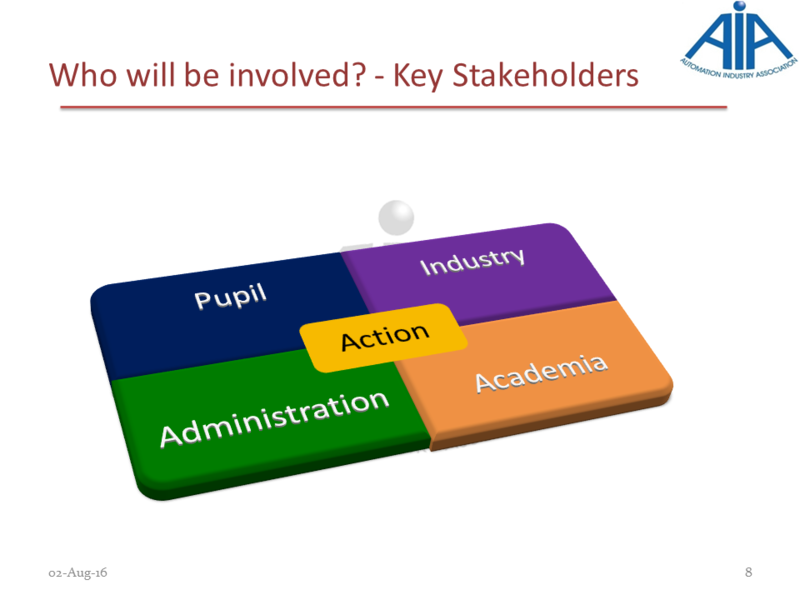 b) Physical Infrastructure - Comprising a network of academic partner campuses, and industrial sites to support practical and hands-on learning. 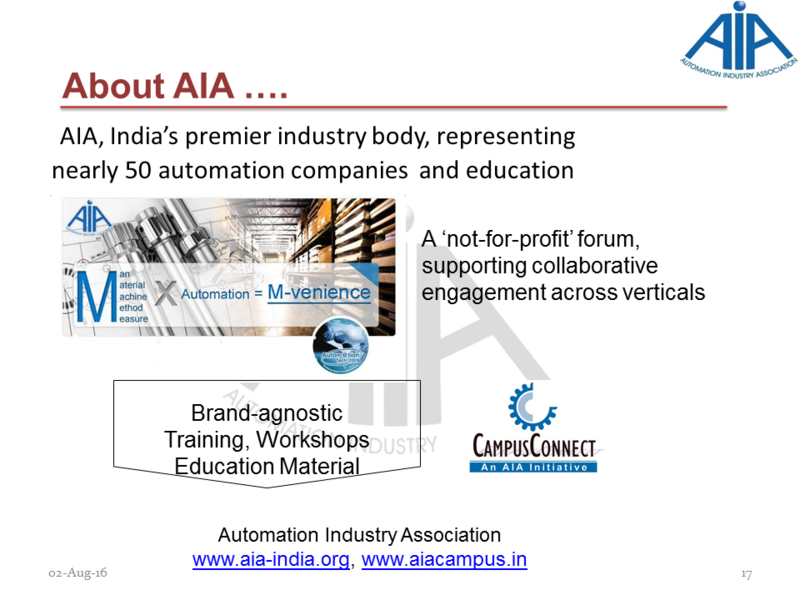 It exposes the academia and students to the visiting industry experts and exposes them to relevant Industrial automation ware. 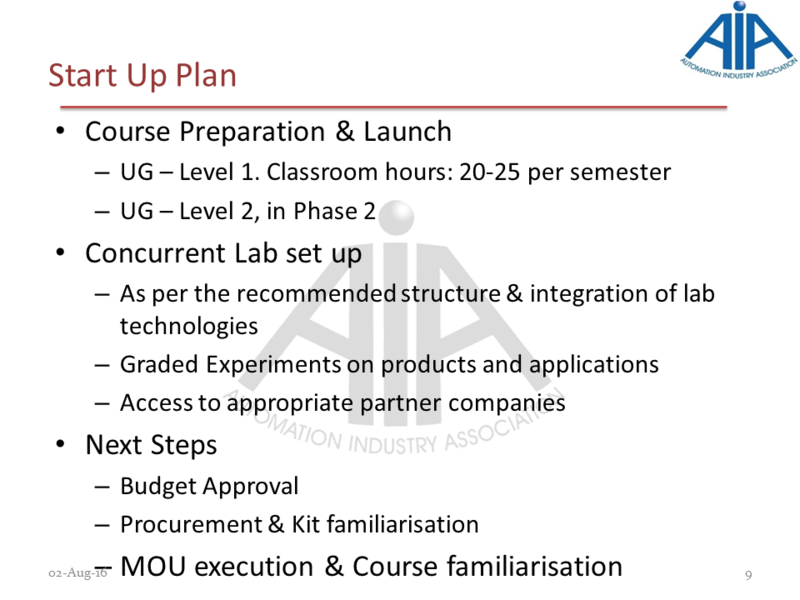 It also provides for internships and creation of faculty consultancy centers, technology / solution incubation laboratories. 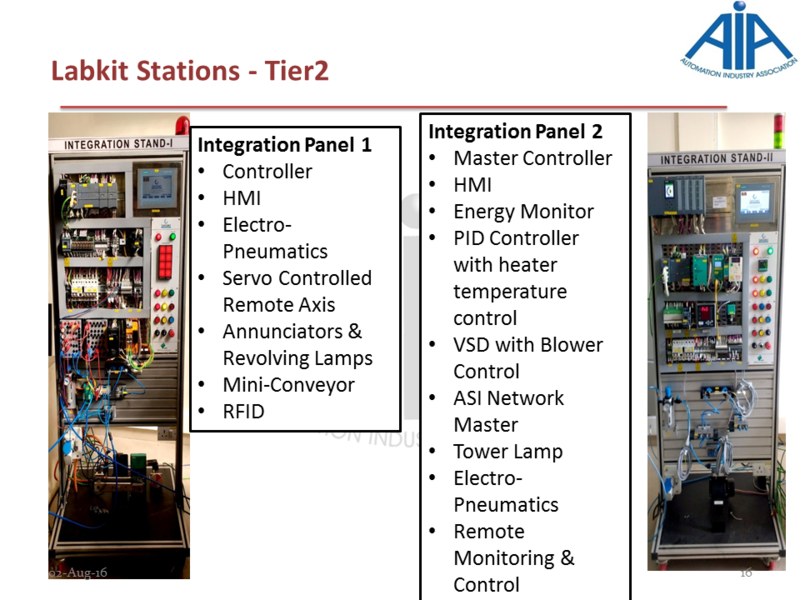 c) Management Infrastructure - Comprising a 2-tier assessment and certification process that ensures quality, sustainability and scaling up of the program. 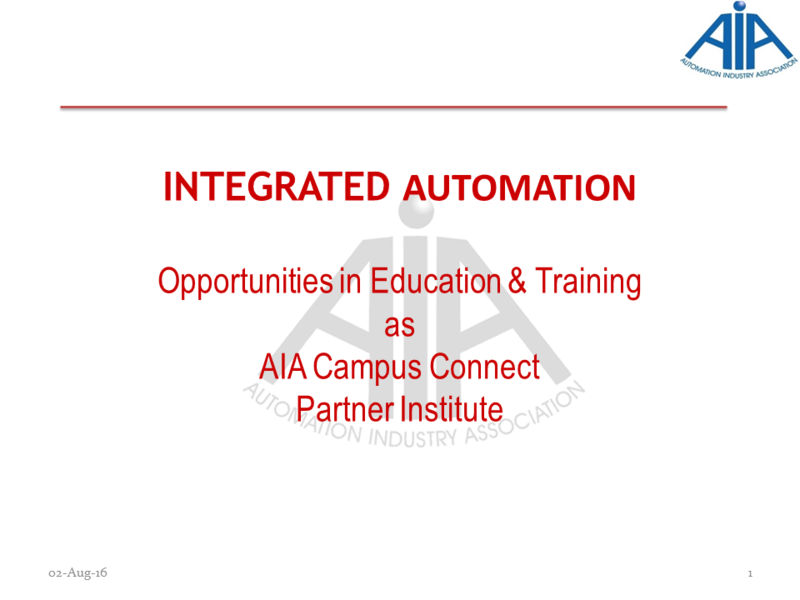 It provides a global benchmark for a PAN India evaluation and certification for entry level automation professionals.